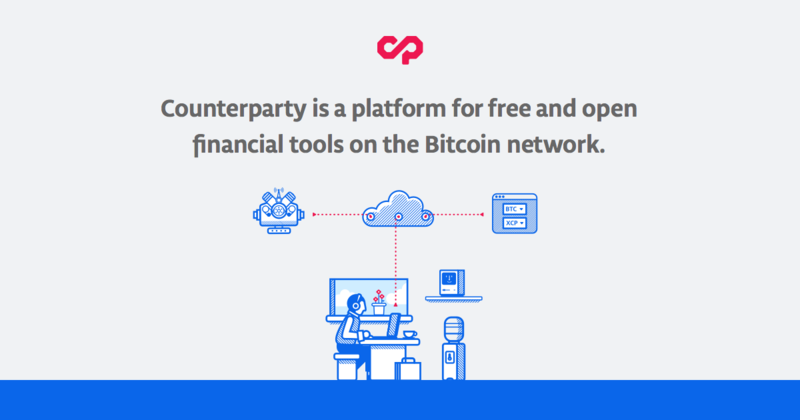 It’s been a quiet month all round for the Counterparty community. Nevertheless, check out the updates below. BitCrystals has some positive news following last month’s announcement to discontinue the progression of Spells of Genesis. Spells of Genesis players can now use the BitCrystals currency (BCY) to purchase one of the in-game currencies; Gems. Previously, Gems could only be bought using fiat currencies, and allow players to purchase speciality card packs and refill their stamina during gameplay. Spells of Genesis also celebrated the sale of more than 40,000 cards via Book of Orbs. The BitCrystals team also launched their ‘Bloom Campaign’ this past month, to incentivize users to download the multi-chain wallet; Casa Tookan. Ending April 30th, players will be rewarded with BCY the more they use Casa Tookan. Read more here. Do you know what a #Ledger is? It’s a multi currency hardware wallet. Very useful to manage your private keys. Convinced? Get our #satoshi edition #Ledger nano S.
Lastly, BitCrystals and EverdreamSoft CEO; Shaban Shaame, will be speaking at Belarus’ Crypto Games Conference. FoldingCoin shared via social media that FNTS; a cloud solutions service, was providing free cloud sharing services to help with the computer power distributing process. FoldingCoin was recently added by a bilingual stat service to their project. Available in English and Dutch, the blockspot service analyzes the FLDC token in its circulation. Augmentors continues to engage its community with some major news over the past month. The game has temporarily been removed from the app store whilst the team rehauls the game as a whole; following feedback to make the game more engaging and fun. The main point of focus for the team is to increase user retention within the game and VR experience, and as a result, any roadmapped blockchain progress has also been delayed. Two upcoming improvements to the game include the feature that allows for multiple creatures in battle, as well as the testing of turn mechanics to determine which creature will feature first in a battle and how often. This is currently dependent on the creature’s speed. Existing and new creatures in the game are also being redeveloped to be more unique. You can check out all of the team’s community updates here. Age of Rust follows on from last month as their social media recaps their presence at San Francisco’s Game Developer’s Conference (GDC). Pebble – as mentioned last month to be IndieSquares latest counterparty supported, lightning wallet – was mentioned by the bitcoin merchant directory as one of seven lightning wallets to try out. Having great Lightning Wallets for iOS will take us a long way for retail #bitcoin adoption. With RareAF2 taking place on May 18th in New York City, submissions of rare art for the event were held (and closed) last month. To learn more about the event and who will be selecting the art from all of the entries click here.